What would you like to be doing in November? That sounds like a good time to take that holiday you’ve been saving up for, right? If you’re reading this, you’re most likely a keen Brazilian Jiu-Jitsu practitioner who has dedicated countless hours to mastering this incredible martial art, as well. So, how would you like the combine taking a much-needed holiday with an unprecedented opportunity to learn BJJ from Legendary BJJ Coach John Danaher? 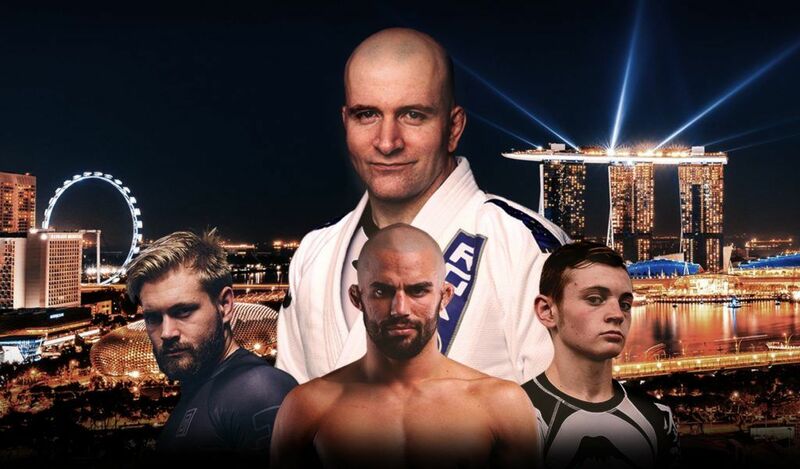 John Danaher – who is arguably the most revolutionary instructor in Brazilian Jiu-Jitsu and No-Gi Grappling – will be hosting a one-week Asia Super Camp at Evolve MMA in Singapore later this year. You’re going to want to be there. Danaher has single-handedly transformed the reputation of leg locks and developed a system that has taken the world by storm. With an established crew that includes Gordon Ryan, Eddie Cummings, Garry Tonon, and more, the ‘Danaher Death Squad’ has been a commanding force in Brazilian Jiu-Jitsu and No-Gi Jiu-Jitsu competition for quite some time now. Danaher’s system is extremely effective, remarkably intricate, and has rarely been accessible for students outside of his ‘Danaher Death Squad’. However, that’s all set to change in November this year when Evolve MMA hosts the John Danaher Asia Super Camp. Running from November 5 to 10 at Evolve MMA in Singapore, the camp will consist of two training sessions each day from Monday through Friday (9-11 am and 2-4 pm) and an intensive 3-hour seminar on Saturday. Attendees will also receive unlimited access to martial arts classes at Asia’s top martial arts training organization, Evolve MMA. Attendees will also attend ONE Championship’s event on the 9th of November. To reserve your place at the John Danaher Asia Super Camp, CLICK HERE! No longer will you need to piece together YouTube footage from 17 different competitions to try and understand how ‘The Danaher Death Squad’ is dominating every match, you can now learn it from John Danaher himself. Opportunities like this don’t come around often. Until recently, Danaher has kept his teachings relatively concealed so that his team can benefit from his system. 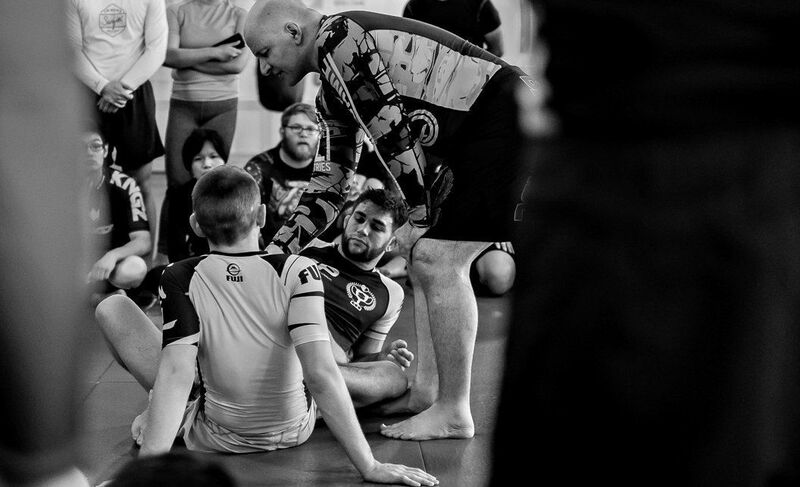 For example, if you were to attend one of John Danaher’s regular classes, there is only limited time for Danaher to make his way around the class and assist every student. Because, more than anything, his priority has been evolving his system and passing on his methods to the senior members of ‘The Danaher Death Squad’. Danaher has a unique way of progressing his understanding of BJJ. Rather than being shown a technique or method, Danaher wants to understand the reasons why that technique exists and then he wants to challenge it and improve it. At the John Danaher Asia Super Camp you can expect to learn many of the techniques that go into the system that is dominating competition today, but you’ll also gain an understanding and appreciation of the reasons why these techniques exist. Danaher doesn’t just teach winning moves and techniques. He wants to transform the way you think about Brazilian Jiu-Jitsu so that you can continue improving faster than ever before. Because without critical thinking, we might all have been stuck thinking that leg locks were too dangerous or that they didn’t work. Danaher frequently questions ideas, concepts, methods, techniques, strategies, tactics, and seemingly everything else that exists in today’s version of Brazilian Jiu-Jitsu. It is only through rigorous testing and analysis that the most effective techniques breakthrough from the pool of ordinary ones. So that’s why John Danaher’s system works. It doesn’t just work often, either. It works nearly every single time, even against the highest level of competition. If competitors and instructors finally work out the ways to defend Danaher’s system, you can be sure that the Danaher Death Squad have already moved onto something bigger and better. While everyone else seems to be playing catch up, Danaher is continuing to evolve and progress the game. 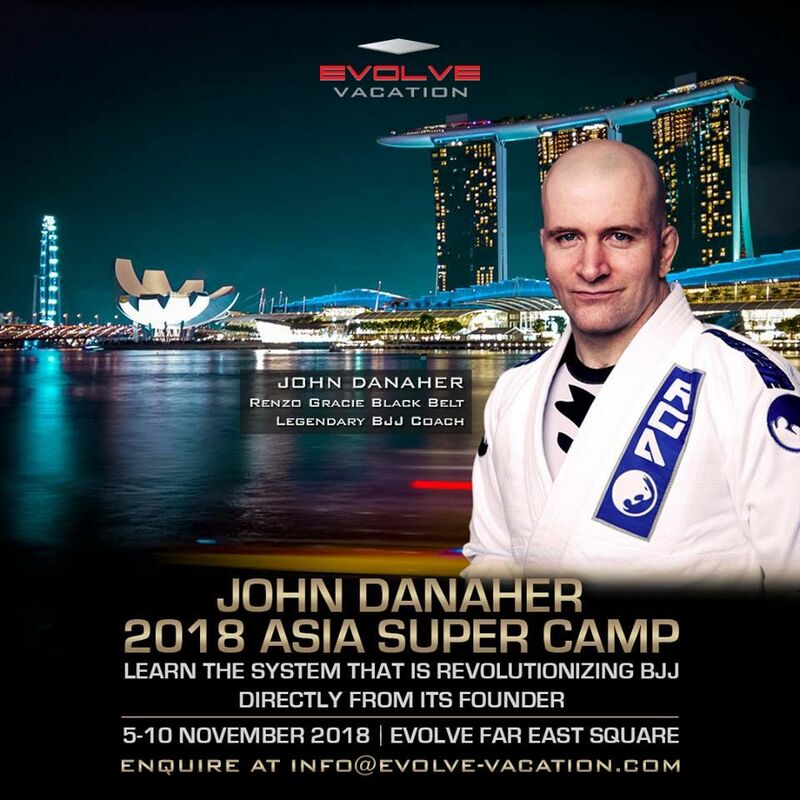 At the John Danaher Asia Super Camp at Evolve MMA, John Danaher will be spreading his knowledge to the many passionate grapplers from all over the world. That’s precisely why the John Danaher Asia Super Camp is a once in a lifetime opportunity. Has one sentence ever made as much of an impact as the one John Danaher repeated to Joe Rogan on his JRE MMA Show earlier this year? 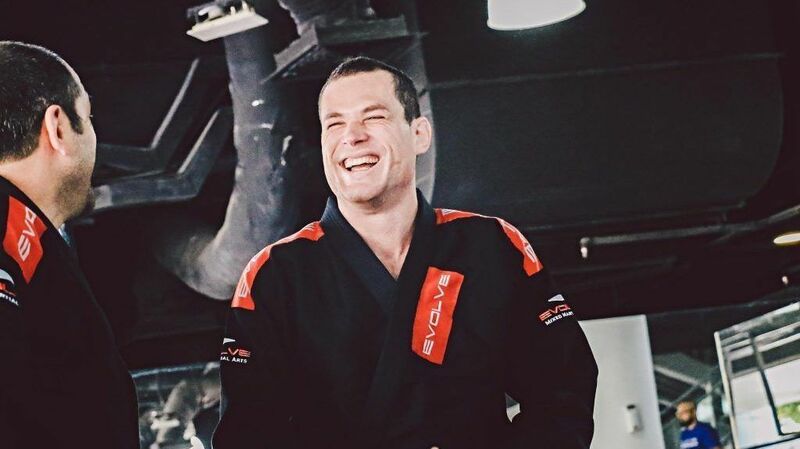 When Danaher explained that his passion for learning and evolving leg locks stemmed from one simple sentence from Dean Lister many years ago, it sent BJJ students from all over the world into a craze. This is what Dean Lister said to John Danaher, and it’s now partly responsible for the engineering of the most revolutionary leg-lock system in the world today. Were you blown away by Danaher’s seemingly unbelievable knowledge of Brazilian Jiu-Jitsu when he featured on the JRE MMA Show? We certainly were. Not only did he have an innovative take on the ‘four distinct steps of jiu-jitsu,’ but he touched on ideas and concepts that are sometimes forgotten. The crazy part about his appearance on the JRE MMA Show was that this was only one very small snippet of Danaher’s knowledge and instruction. It was like the three-minute trailer for a full-feature blockbuster film that’s coming to a cinema near you. If we’re going to run with that analogy, Evolve MMA is the cinema where you’re going to experience a full buffet-style course of Danaher’s teachings. In fact, you’ll have 23+ hours of instruction from John Danaher. So, if you want unprecedented access to one of the greatest minds of Brazilian Jiu-Jitsu, you’re going to want to be at Evolve MMA in Singapore this November. At the John Danaher Asia Super Camp, you’ll have the opportunity to network with (and grapple with) passionate grapplers from all around the world. One of the reasons we all love Brazilian Jiu-Jitsu is that it allows us to connect and form lasting relationships with amazing people from all walks of life. Last year, Evolve MMA hosted Eddie Bravo’s 10th Planet 2017 World Super Camp and it proved to be a gigantic success. 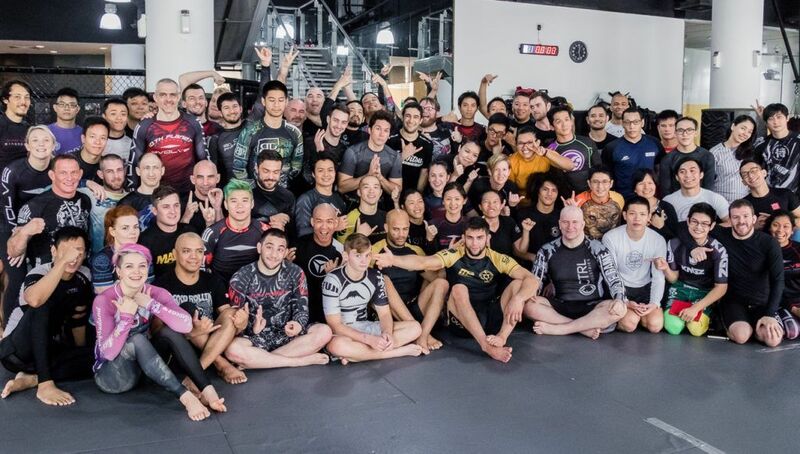 The mats were full with beginner, intermediate, and advanced BJJ athletes who were all there to learn from the mastermind behind the 10th Planet system. As these students soon discovered, Evolve MMA’s Super Camp is an unparalleled way to form powerful friendships with like-minded individuals. Furthermore, while bonding with other grapplers, they also experienced what Eddie Bravo labeled a “super turbo boost” way of learning a complex BJJ system. In 2018, you’ll now have the opportunity to learn from another strategically-focused instructor who takes great pride in developing the skills and abilities of students. And you can be sure that Danaher’s tactical approach to training will be passed on through the best way possible during his six days at Evolve MMA. What? — Exclusive access to daily training sessions instructed by John Danaher, the founder of the system that’s dominating the No-Gi Jiu-Jitsu scene today. SIGN UP FOR THE JOHN DANAHER 2018 ASIA SUPER CAMP NOW!